Faced with ISIL, what possible good is an 'Ode to Joy'? Beethoven introduces Schiller’s fulsome and optimistic poem in the symphony’s fourth movement, and so stirring is it, and so confident, you might wonder why a work of art of such demanding complexity would be performed in October, 2015, this dark and deservedly joyless moment in human history. Just when you think things cannot possibly get any worse, The New York Times reports that by December, 4.7 million refugees from Syria or Iraq will have sought asylum in Turkey, Lebanon and Jordan. Our region's combined statistical area has a population estimated in 2014 to be just over 2.9 million. Why, in this unenlightened era, are we are presented with an Enlightenment summons to wrap ourselves in the wings of Joy? 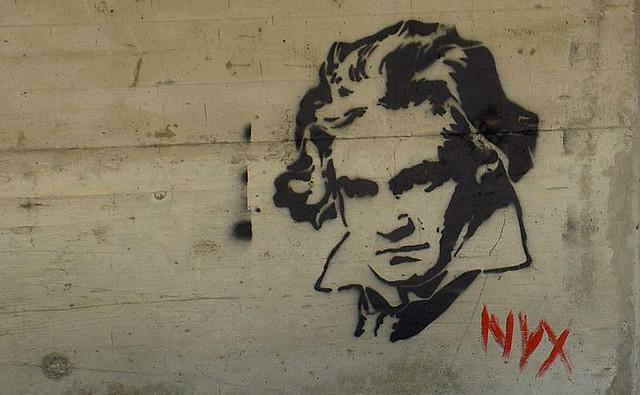 Beethoven's influence is so great that even graffiti artists in Austria portray his likeness. In Buddhism, sympathetic joy – taking pleasure in someone’s fortune, including one’s own – is one of the four immeasurables. With Freud, there is the id-lodged pleasure principal, which is in tension with the death drive. Both are essential; pushing the definition a bit, joy – the achievement of genuine vital contentment and pleasure – is the antithesis of the death drive, or death wish. Joy, or the pursuit of it, is not a nicety but a necessity. Such a characterization might have its own veracity. But if we push aside the rather risible specter of going to Elysium to meet its daughter, a serious pilgrimage in pursuit of moments of transcendence may lead to lives of personal satisfaction. Such a commitment seems worthy rather than naïve, and confrontational rather than escapist. It was Confucius, after all, and not Perry Como, who advised lighting one little candle optimistically rather than cursing the darkness with pessimism. I know Beethoven fares well at the box office, and that selling tickets at this moment in the history of the music business is a worthy and necessary occupation. And yet, I know too that the intelligence and courage required of those who commit their lives to the risky music business encourages all of us to understand that scheduling the Beethoven Ninth has meaning far beyond filling seats and selling tickets. It is art that is essential to carrying out the mission of music, to help us to bring order to a world best described as chaotic. In the 65 minutes spent with the musicians, and with Beethoven and Schiller and the majesty of their congregation of music and words, we are allowed not only refuge from the various darknesses we have created but also have had opened for us an opportunity to go forward with hope and courage, and with a sense we might seek peace in ways our talents and intentions may take us. In the end, after all, peace is just another name for joy. The Syrian refugee crisis is getting worse by the day. 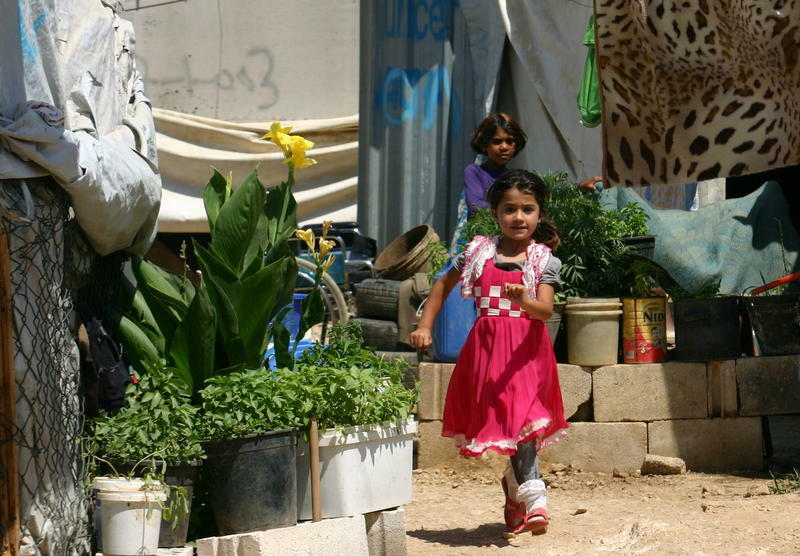 Not only are more refugees fleeing into Lebanon, but aid to those who have already arrived is being cut dramatically. The United Nations World Food Program earlier this month slashed the monthly food subsidy for Syrian refugees in Lebanon to just $13.50 per person. Less than a year ago the figure was $30 per person per month. The reason for the decision was reportedly a budget shortfall.